With permission, Mr Speaker, I would like to make a statement about the proposed expansion of Heathrow Airport. This government has a clear vision – to build a Britain that is fit for the future. A Britain with a prosperous jobs market and an economy that works for everyone. That is why I come to this House to mark an historic moment. Today (5 June 2018) I am laying before Parliament our final proposal for an Airports National Policy Statement (NPS), which signals our commitment to securing global connectivity, creating tens of thousands of local jobs and apprenticeships, and boosting our economy for future generations by expanding Heathrow. It is an example of how this government is taking forward its Industrial Strategy. We were told when Terminal 5 was built that there would be a huge boost to the local jobs market. Today, Heathrow employs fewer people than it did before T5 was built. The apprenticeships argument is a sham – because of the high charges that Heathrow levy for landing fees and aircraft on the ground, their largest customer (IAG, including British Airways) moved their main maintenance facility to Dublin after the acquisition of Aer Lingus. Any new jobs post construction will be in duty free retail, customs and security (Paid for by the taxpayer) and cleaning – all paying low wages that have to be topped up with working tax credits bearing in mind the cost of property and living in the area. The taxpayer will subsidise the profits of the overseas owners of the airport. Taking such a decision is never easy. This issue has been debated for half a century. My department has met with local residents and fully understands their strength of feeling, but this is a decision taken in the national interest and based on detailed evidence. In 2015, the independent Airports Commission concluded that a new north-west runway at Heathrow was the best scheme to deliver additional capacity – and in October 2016 we agreed. We ran 2 national consultations during 2017 and received more than 80,000 responses. All the points raised have been carefully considered, and today we are publishing the government’s response. To ensure fairness and transparency, we appointed an independent consultation adviser, the former Court of Appeal Judge, Sir Jeremy Sullivan. Our draft NPS was scrutinised by the Transport Committee – and today I would like to thank the Chair and her committee for the thoroughness of their work. I was pleased that they, like me, accepted the case for expansion and concluded that we are right to pursue development through an additional runway at Heathrow. We welcome and have acted upon 24 out of 25 of their recommendations. Our response to the committee is also being published today. Mr Speaker, this country has one of the largest aviation sectors in the world, contributing £22 billion to our GDP, supporting half a million jobs, servicing 285 million passengers, and transporting 2.6 million tonnes of freight last year. The time for action is now. Heathrow is already full and the evidence shows the remaining London airports won’t be far behind. Despite being the busiest two-runway airport in the world, Heathrow’s capacity constraints mean it is falling behind its global competitors – impacting the UK’s economy and global trading opportunities. Hogwash. In 2016, 2.4 million empty seats flew out of Heathrow – the equivalent of 8000 flights at 300 passengers per aircraft. The runways are at 98% but the terminals are below 70%. Airlines with slots they have held for many years (termed ‘grandfather rights’) fly empty or almost empty flights out of the airport to deny their competitors access. The airport doesn’t care because their 3rd highest revenue earner is landing fees – so by saying they are full and demanding a third runway they can boost their profits immediately in that area by 33%. We have 7 runways in London spread across 6 airports and a complete runway sitting idle at Manston, the former Kent International airport. Only Heathrow claim they are full with Stansted, Luton, Southend and London City runways at 50% or less. TFL estimate that infrastructure upgrades to road and rail will cost the taxpayer £15-£18bn to support a 3rd runway – if that money was allocated to improving infrastructure to the other airports, making them more attractive for passengers who want to get in to London easily, many short haul airlines would switch to those competitors as the landing fees are much lower. Expansion at Heathrow will bring real benefits across the country including a boost of up to £74 billion to passengers and the wider economy, providing better connections to growing world markets, and increasing flights to more long haul destinations. Heathrow is a nationally significant freight hub, carrying more freight by value than all other UK airports combined. A third runway would enable it nearly to double its current freight capacity. Wrong – the latest figures show £61bn spread over a 60 year period starting in 2030. The airport had originally claimed £200bn and this has gradually been eroded. Even that £61bn is subject to interpretation and some researchers suggest that the benefit could be zero. The growth in aviation is in point to point long and short haul, not in hub or business traffic. Those growing markets can be serviced by point to point flights from other airports just as easily, taking pressure off the pinch points around London and invigorating other cities around the country. The concentration of freight traffic at Heathrow puts pressure on the transport routes out of London, the most profitable parts of it come in the belly of the passenger aircraft – utilising underused airports like Manchester, Birmingham and Doncaster Robin Hood could increase freight traffic overall and cut out a lot of pressure on the main routes out of London where the goods are shipped across the country by road. In addition, Mr Speaker, this is a project with benefits reaching far beyond London. We expect up to 15% of slots from a new runway to facilitate domestic connections across the UK, spreading the benefits of expansion to our great nations and regions. As well as new routes, I would expect there to be increased competition on existing routes, giving greater choice to passengers. I recognise the strong convictions many members of this House and their constituents have on this issue, and the impacts on those living in the local area. It is for this reason that we have included strong mitigations in the NPSto limit these impacts. You can’t mitigate air pollution – the fantasy figures put out by Heathrow are based on technologies that either don’t exist yet or are in their infancy and therefore too expensive to implement based on the time frame they are based on. My mother had breathing difficulties that required treatment when she lived in Hillingdon – these miraculously cleared up when she retired and moved out of the area. Coincidence? 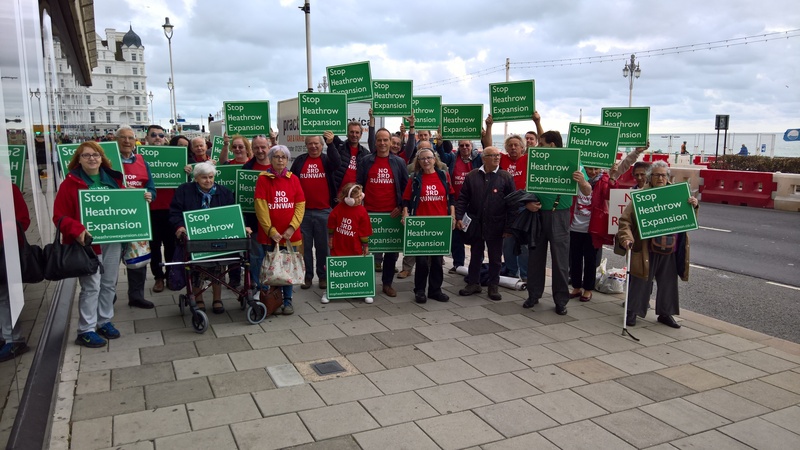 Communities will be supported by up to £2.6 billion towards compensation, noise insulation and improvements to public amenities – 10 times bigger than under the 2009 third runway proposal. This package is comparable with some of the most generous in the world and includes £700 million for noise insulation for homes and £40 million to insulate schools and community buildings. The airport has offered 125% of the full market value for homes in the compulsory and voluntary purchase zones, plus stamp duty, moving costs and legal fees, as well as a legally-binding noise envelope and more predictable periods of respite. Look at the amounts put aside in the Davies Commission Report by the airport and how much this would cost – there is a massive gap between the proposal and the reality. The 125% figure fails to recognise that houses in the Heathrow Villages are rated below those in neighbouring Hayes and West Drayton because of ‘blight’ caused by years of uncertainty about the runway. Add that to the fact that many of the homes going are three bedroom whilst the new builds in surrounding areas are predominently one and two bedroom and where are they going to move to? We have a massive housing shortage in Hillingdon and people will have to move way out of the area to get a property commensurate to the ones they are giving up, meaning leaving jobs and separating families. For the first time ever, we expect a 6 and a half hour ban on scheduled night flights. But my ambitions do not stop there. If the NPS is designated and the scheme progresses, I encourage Heathrow and airlines to work with local communities to propose longer periods of respite during a further consultation on night flight restrictions. Ah, that old ‘scheduled’ flight excuse. The airport get around that with the landing of ‘unscheduled’ flights, usually at least a few a night. We will only grant development consent if we are satisfied that a new runway would not impact the UK’s compliance with air quality obligations. Advances in technology also mean new planes are cleaner, greener and quieter than the ones they are replacing. The new aircraft are quieter – but 33% more of them will offset any benefits. I stood 200 yards from an Airbus A380 at Farnborough airshow and it was pretty good, but that aircraft had no passengers or freight on it. Stand at the end of the Northern Runway when they have to give more throttle because of a heavier load and see what you think. You are also assuming that airlines will switch to the new aircraft. In order to maximise profit, they will often refurb older planes where it is expedient. BA recently upgraded their 747 fleet which was cheaper than buying new aircraft. With modern designs lasting as much as 30 years with regular maintenance (Many airlines buy second hand through brokers as 10 year old Quantas and Lufthansa aircraft are in better shape with their service routines than they were when they rolled off the production line) you are betting on total fleet replacement – this won’t happen. As far as air quality goes, on a 24 hour cycle (Which is what you base it on) many parts of Heathrow Villages are ‘marginal’. But at peak hours, with more vehicles on the road, parts of the Villages are at 8 times the legal limit – times when local residents and (most importantly) our children are on the move. It is no coincidence that our schools are seeing massive increases in breathing problems with their pupils that are overwhelming the nurses in those establishments. Teachers are now being taught how to respond to sick pupils with some schools having large wooden boxes, partitioned off, that the kids put their inhalers in to with their names on them. Earlier this year a Community Engagement Board was established and appointed Rachel Cerfontyne as its independent chair. It will focus on building relations between Heathrow and its communities, considering the design of the Community Compensation Fund which could be worth up to £50 million a year, and holding the airport to account when it comes to delivering on its commitments today and into the future. Mr Speaker, there has been much debate about the costs of this scheme. Our position on this could not be clearer – expansion will be privately financed. Expansion must also remain affordable to consumers. We took a bold step when I asked the industry regulator, the Civil Aviation Authority (CAA), to ensure the scheme remains affordable while meeting the needs of current and future passengers. This process has borne fruit with the identification of potential savings of up to £2.5 billion. If expansion is privately financed, why have Heathrow only committed to £1bn on infrastructure upgrades to surrounding transport that TFL have identified as costing the taxpayer between £15-£18bn? I am confident that further cost savings can be identified, and the design of expansion can continue to evolve to better reflect the needs of consumers. That is why I have recommissioned the CAA to continue to work with industry to deliver the ambition I set out in 2016 to keep charges close to current levels. This will include gateway reviews, independent scrutiny and benchmarking of proposals, which I know are of paramount importance to British Airways, Virgin and the wider airline community. Their profits are already on a knife edge, meaning that new airline cabin crew are paid as little as £18k pa versus the old contracts of £30k – this caused strikes last year. He can either put his prices up, affecting competitiveness, or move elsewhere as they have already done with the main maintenance teams, the jobs that the airport claim can support ‘apprenticeships’ in their plan. Now Mr Speaker, I want to talk about scheme delivery and ownership. The north-west runway scheme put forward by Heathrow was selected by the government following a rigorous process. Since then, Heathrow have continued to make strong progress, having already consulted on their scheme design and airspace principles earlier this year. Some stakeholders have suggested that we should now look again at who delivers expansion. Whilst I will always retain an open mind, my current assessment is that caution is needed at this stage. Heathrow is an operational airport under a single management, and I am clear that they are currently the only credible promoter who could deliver this transformational scheme in its entirety. I welcome the CAA’s April consultation which expects Heathrow to engage in good faith with third parties, to ensure expansion is delivered in a way which benefits the consumer. However this needs to be balanced against the need for timely delivery, and that is why my department will be working closely with Heathrow to enable delivery of the new runway by their target date of 2026. 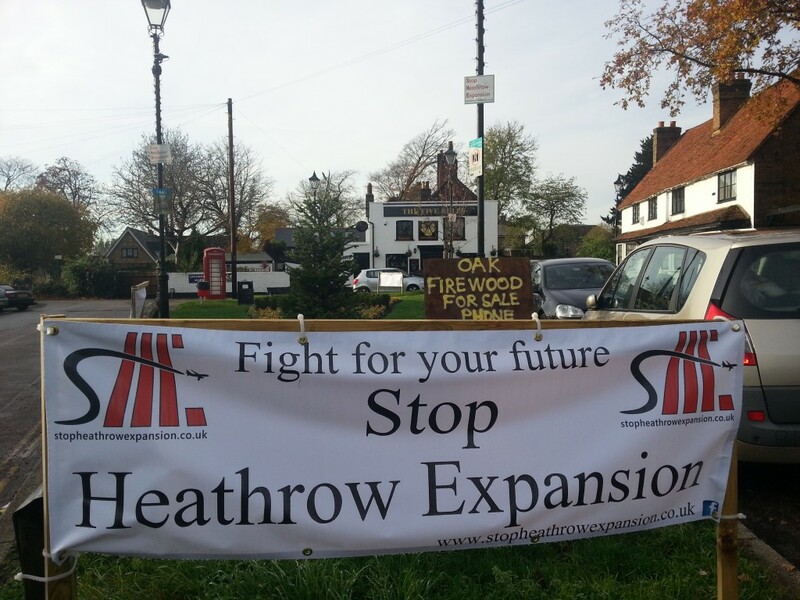 Heathrow do not engage in good faith with third parties, ask local residents who have been lied to for the last 30 years. 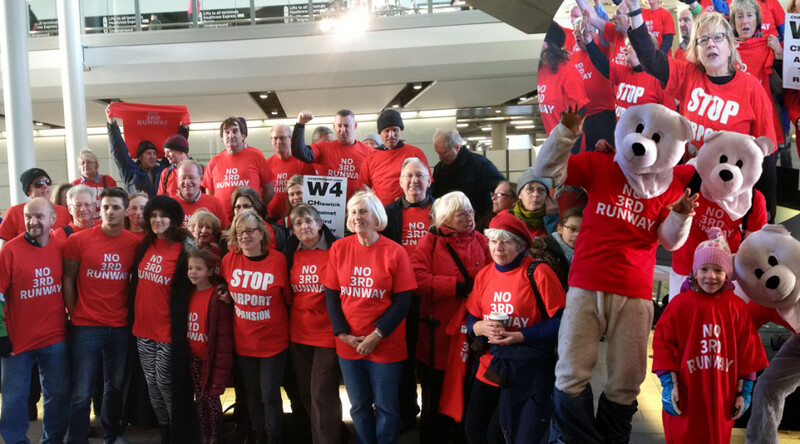 They were told that if Heathrow got T5, there was no need for a third runway – they were back months after completion. Heathrow is already Britain’s best-connected airport by road and rail, and this will be further strengthened by future improvements to the Piccadilly Line; new links to Heathrow through Crossrail; connections to HS2 via an interchange at Old Oak Common and plans for western and southern rail access to the airport. That is why I met with industry on 24 May to challenge them to come forward with ideas for new southern rail access to the airport. So the ‘fantasy’ that I was castigated for is actually a reality. 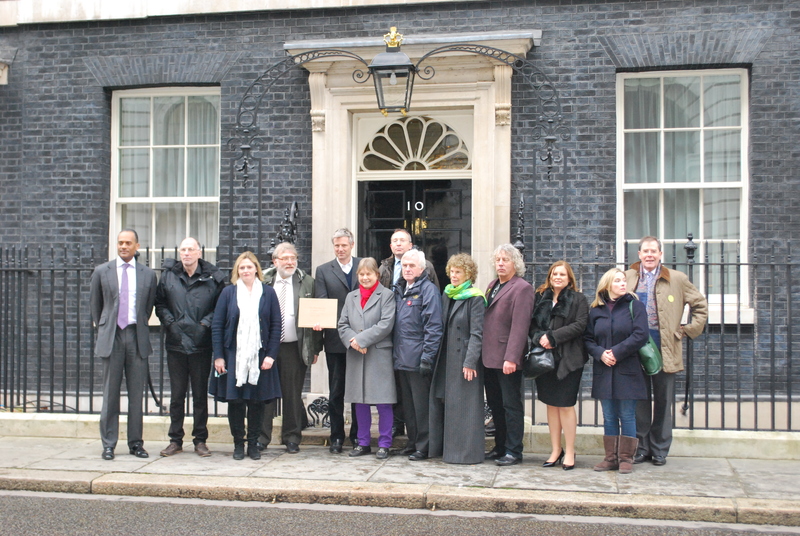 They plan to link HS2 to Heathrow, something I warned about as early as 2010. It also explains why the tunnel proposal to mitigate environmental damage to Ruislip and Ickenham put forward by Boris Johnson was ignored – it would mean that they could not proceed with the ‘Heathrow Spur’. I warned John McDonnell about this 3 years ago, he said he had seen nothing about it – the plans show the route would cut down through West Drayton and out in to Iver. Old Oak Common is the link between HS2 and the Third Runway and vindicates what I said about the two schemes being interlinked. Even with today’s announcement, a new operational runway at Heathrow is still a number of years away. The Airports Commission recommended that there would also be a need for other airports to make more intensive use of their existing infrastructure and we consulted on this in the Aviation strategy call for evidence last year. I can confirm today that the government is supportive of airports beyond Heathrow making best use of their existing runways. However, we recognise that the development of airports can have negative as well as positive local impacts, including on noise levels. We therefore consider that any proposals should be judged on their individual merits by the appropriate planning authority, taking careful account of all relevant considerations, particularly economic and environmental impacts. You have consistently ignored residents calls to re-open Manston in Kent. For a fraction of the cost of a third runway, you could have an airport open that local residents want, that involves no loss of housing and with approach paths over the sea meaning that environmental impact and noise is mitigated. A link line to Eurostar would mean that passengers could be in the City in 40 minutes, faster than Crossrail from Heathrow. Improved links to other London airports would cost less than £16bn and increase competition, giving easier access to our Capital. Furthermore, in April we set out our next steps, which will see us work closely with industry, business, consumer and environmental groups to develop an aviation strategy that sets out the long term policy direction for aviation to 2050 and beyond, while addressing the changing needs and expectations of air passengers. It will set out a framework for future sustainable growth across the UK; how we plan to modernise our congested airspace; and use innovative technology to deliver cleaner, quieter, quicker journeys for the benefit of passengers and communities. Airspace modernisation must be taken forward irrespective of the decision on the proposed new runway, and to do so we expect multiple airports across the south of England will bring forward consultations on their proposals. It is noticeable that the proposals for a Third Runway do not include any details of the flight paths that would be employed and who would be affected – omission or deliberate? Returning to Heathrow, the planning system involves 2 separate processes, one to set the policy – which is our NPS, and then, if this House votes in favour of it and it is then designated, a second process for obtaining development consent. We will fight you all the way on development – you cannot justify the air pollution which was why the whole thing was scrapped in 2009. Wrong then, wrong now. Indeed, your former leader David Cameron when fighting to become elected said ‘No if’s, no but’s, no third runway’ and your current leader welcomed the scrapping of the plan last time round as it would be harmful to her constituency. What changed? The next step would therefore be for Heathrow to develop their plans, including details of the scheme design and airspace change, and hold a further consultation. This allows the public a further say on the next phase of Heathrow’s plans, and additional opportunities to have their voices heard. Any application for development consent will of course be considered carefully and with an open mind, based on the evidence provided. The process includes a public examination by the independent planning inspectorate before any final decision is made. Will they be as ‘independent’ as the Airports Commission? Alongside the NPS today, I have also published a comprehensive package of materials that I believe will enable the members of this House to make an informed decision ahead of the vote. I hope the House will be ready to work together – acting on an issue that is in our shared national interest – in order to create a positive legacy for the future. I hope members will get behind it. Mr Speaker, I commend this statement to the House. 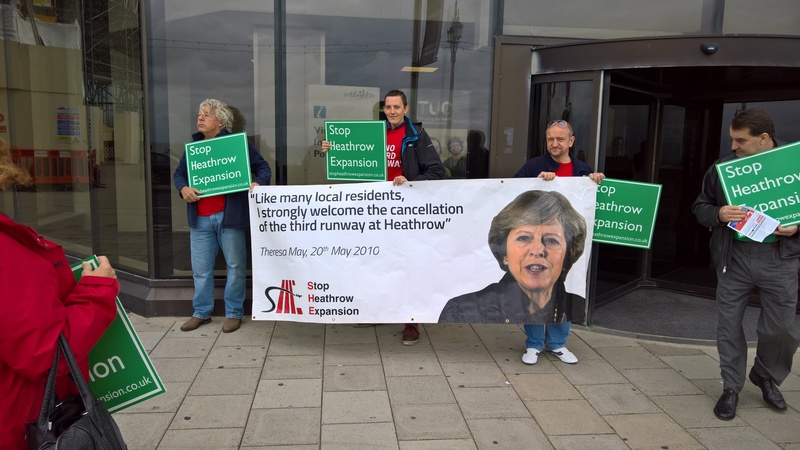 This entry was posted in Heathrow Third Runway and tagged Airports Commission, Chris Grayling, Department for Transport, Gatwick, Heathrow Expansion, Hillingdon, Third Runway.